You know I'm a fan of subscription boxes. I've found amazing products that I otherwise would have never known about. I've also joined Influenster, which is a website/company that partners with TONS of different brands and send out products for their members to try and review. It's super easy (and free, obviously) to join. I joined a few months ago and have already been sent a bunch of stuff, some of which will make it in my top monthly items. If you love trying new products and you aren't already a member, I highly recommend joining. 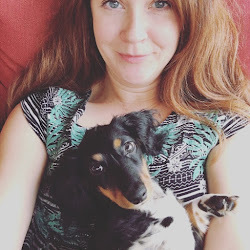 Just an FYI, referral links will run rampant throughout this blog post and although I didn't get paid monetarily, I did get a lot of the products I'm talking about for free. All opinions are my own, though, and I'm super picky so...trust me. There was a lot I tried this month that was total garbage, but I don't like talking about that stuff. Not as much fun. Or as pretty to photograph. 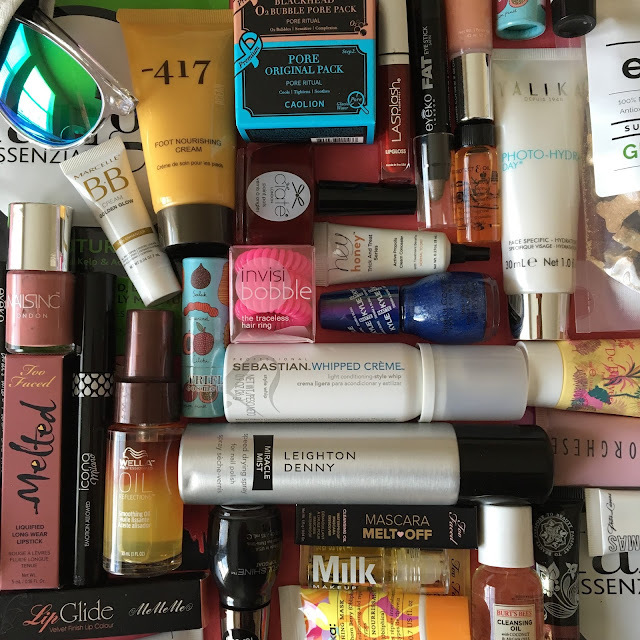 Influenster sent me a bunch of products to try this month. Dickinson's Witch Hazel Toner really stood out. It's fantastic. I have the most combination-y skin you can imagine, and it just evens everything out. Highly recommended, and the price point is perfect--you can pick up a huge bottle for less than $6 @ Wal-Mart. Other products I currently can't live without are the Rollar Lash Mascara (first mascara I've tried that doesn't clump up or make my sensitive eyes water) & Gimmie Brow highlighter (fills in all those patchy spots from over plucking), both from Benefit Cosmetics. Also Farmacy Sleep Tight (I use this in the morning and in the evening, this product is AMAZING. I'm planning on checking out all the Farmacy products in the future.) and the Cargo magnetic compact I got in a special edition Birchbox a month or so ago. 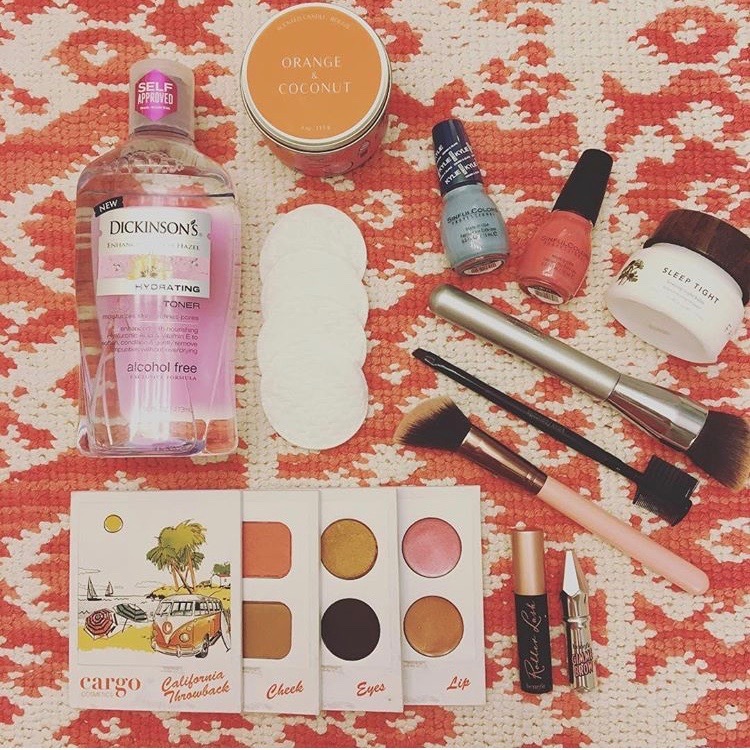 All those items can be purchased via Birchbox or your local Sephora/Ulta. I'm a fan of nail polish, even more so now that my daughter is loving to have her nails all done in crazy colors. 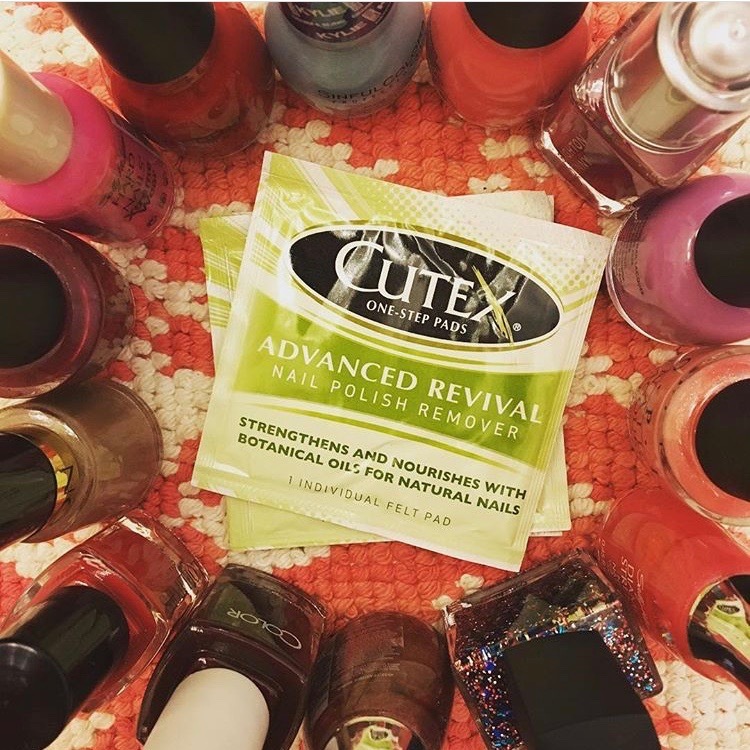 When Influenster sent me Cutex nail polish remover wipes I thought it was super boring because...I mean, it's nail polish remover wipes. Oh my gosh, these things are fantastic. One pad gets off all the polish and I didn't have to worry about my daughter knocking over the bottle of remover which, believe me, is not an unfounded concern seeing as how that has happened 3 times so far. 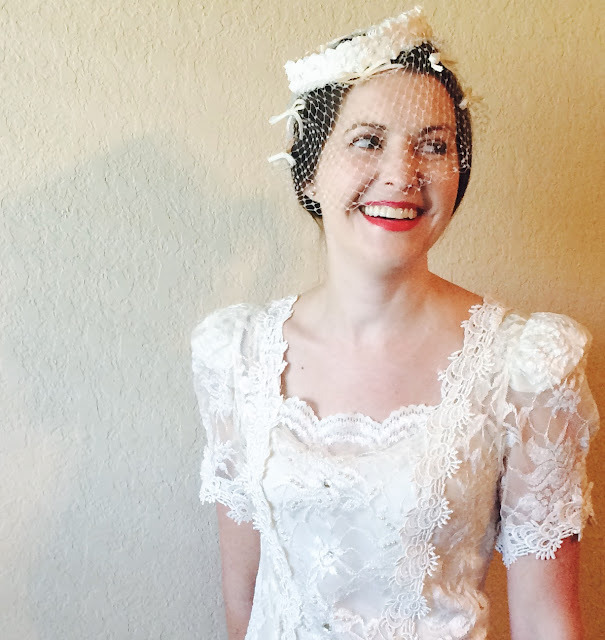 It isn't just about me (or makeup). 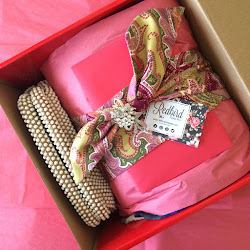 When it comes to subscription boxes I don't discriminate. 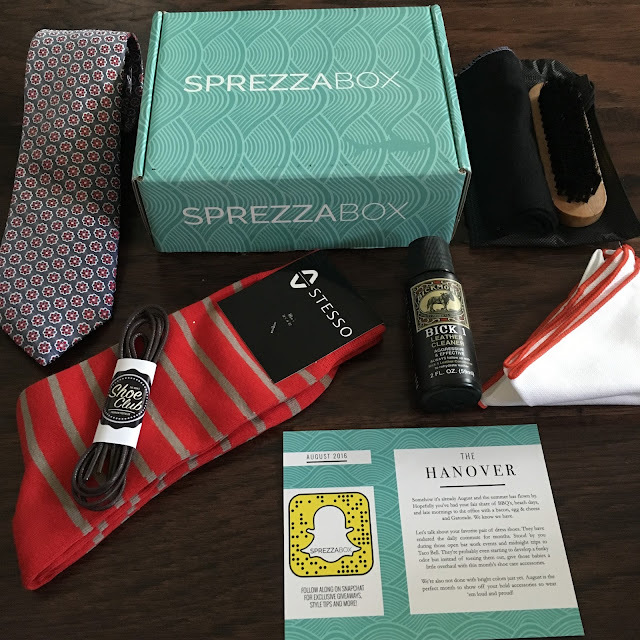 After rifling through the various men's sub boxes I settled on Sprezza Box for my husband's birthday. This is actually our second box and he LOVES it. He's even pickier than me so his approval should be valued. The best thing about this box is that it is only $25 a month and the tie alone more than makes up for the money spent. What guy who has to wear a tie every day wouldn't want an awesome new tie once a month?!? After getting the two boxes I asked my husband if he wanted to continue with Sprezza or go a different route (and named off 2 or 3 other boxes I had been eyeing) and he adamantly said he wanted to stick with what he had. So we'll be a Sprezza Box family for the foreseeable future. 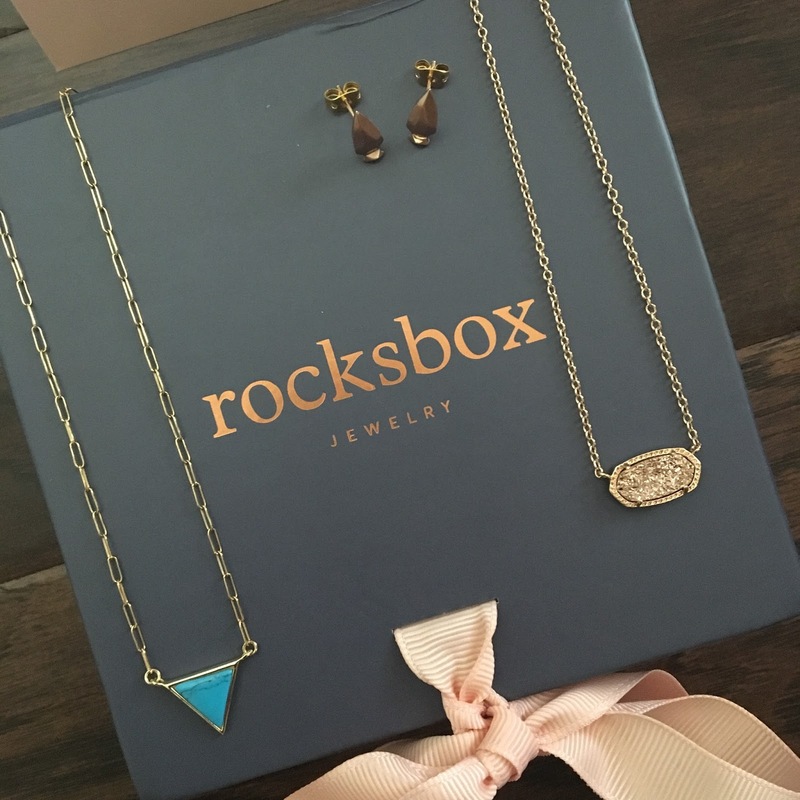 The last new box I tried this month worth mentioning was Rocksbox, a jewelry subscription service. I'm already in love. You pay $19 a month and they send you all different types of jewelry throughout the month for you to try on, wear, return or buy. So convenient and I love trying out new jewelry! So far this month I've gotten 2 boxes and another is on the way. 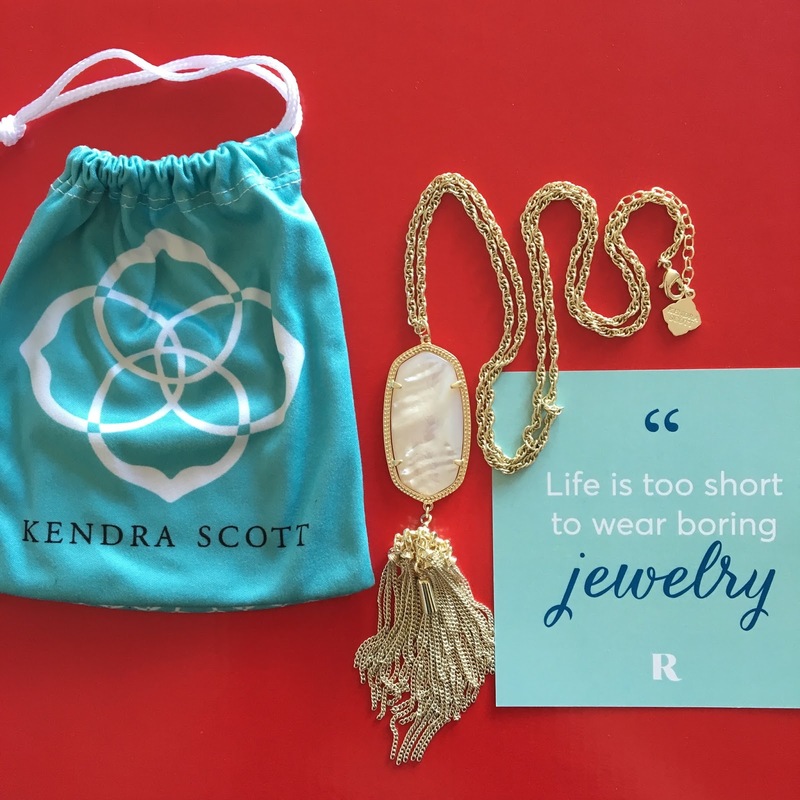 In my last box (which is pictured below) I purchased the Kendra Scott Rose Gold Drusy Necklace for $30 less than retail with my shine credit (you get an automatic $10 a month to apply toward the purchase of anything, and this is called "Shine Credit"). It was a win for sure. If you haven't tried it and want a free month you can use the code SARAHFBFF27 . You'll get an entire month for free and I'll get credit for you signing up which is great for both of us. You can wear/return the jewelry as often as you like. By the end of this month I'll have gotten 4 boxes, they ship SO FAST once you put your other box in the prepaid return envelope.